We’ve been helping companies for 7+ years with Marketing Analytics. Before creating rampmetrics, our team of marketing analytics experts accomplished more with native Marketing Automation tools than had ever been done before. While our services-based solution produced impressive analytics, we recognized that marketing analytics was broken. The marketing community needed a better solution. So we created one. We built a new kind of marketing analytics tool. Purpose built for our own team of marketing analytics specialists, so it had to work. It worked so well, we wanted to share it with the rest of the B2B marketing community. As an agency, we’ve had the benefit of using several different Marketing Automation and CRM tools that our clients have asked us to manage for them. They also wanted reports and analytics that these tools were either not designed to do out-of-the-box, or didn’t give them as deep of information that they wanted. We stretched these platforms beyond their limitations to provide the most robust analytics ever seen in this space. Despite our ingenuity, there were still several holes in marketing attribution that these native tools were not able to solve. So we decided to create our own tool to supplement these tools and fill in the holes. rampmetrics was born. Building on top of our automated tracking system, we added an enhanced UI that gave users the ability to see their data in ways they never could before. 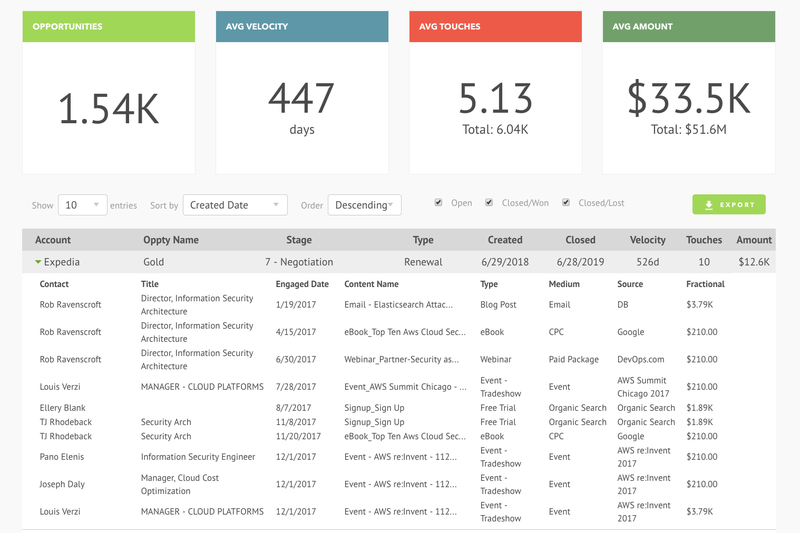 By automatically capturing visitors, and connecting them all the way through to the CRM, we finally unlocked full journey analytics. 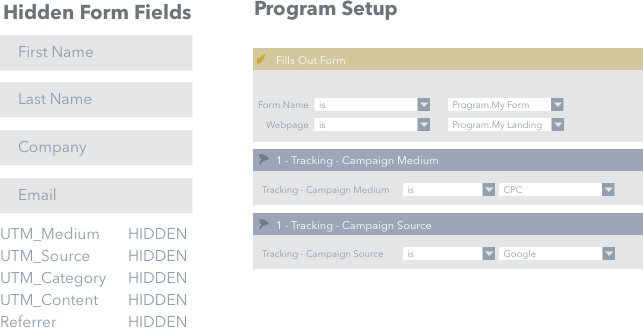 All of this is achieved with zero campaign setup – that means our customers never have to touch their Marketing Automation tool to track conversions.